Delight the little cowgirl or cowboy in your life with one of these cute stick horses. Perfect for galloping through the house chasing down outlaws. 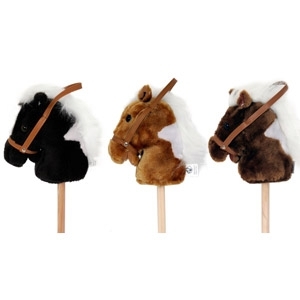 This stick horse has a soft and plush head, and even makes real horse sounds when you squeeze its ear. About 3 feet tall.